Sidney Lumet has been directing exceptional films for over 50 years. With masterpieces like “12 Angry Men” (1957) and Before the Devil Knows You’re Dead (2007) on his resume, there are many candidates for his greatest film. For me, one of his best has to be 1974’s “Murder on the Orient Express.” Anchored by a gargantuan performance by the great Albert Finney and based on the beloved Agatha Christie novel, it’s probably the film world’s seminal whodunit. Hercule Poirot (Finney) is one of the world’s most famous and respected detectives. He’s riding on Europe’s most famous train when a rich American businessman is murdered. It’s up to Poirot to solve the case before Yugoslav officials begin to investigate, but it’s tricky because almost everyone aboard the train is hiding something. When it comes to light that the dead man was involved in the kidnapping and murder of a young child, Poirot must sift through the passangers’ pasts and their secrets in order to find his culprit. “Murder on the Orient Express” has one of the greatest casts I’ve ever seen. 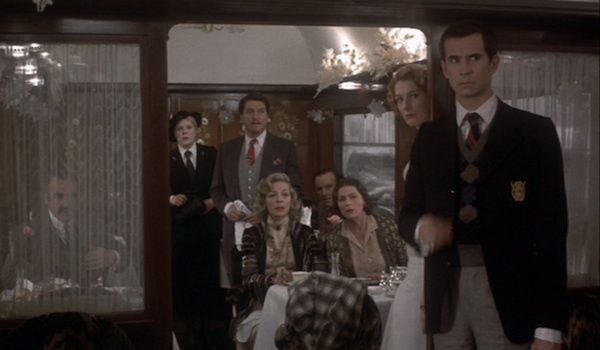 Lead by Finney, the train’s passengers include Ingrid Bergman, Lauren Bacall, Sean Connery, Vanessa Redgrave, Michael York, and Anthony Perkins, among others. Each plays a fascinatingly complex character, and their performances are all the more impressive because they share the screen with so many other wonderful actors but manage to stand out and be remembered with so little screen time. Bergman even won an Oscar for her work, despite only having one scene during which she is the focus of the film. 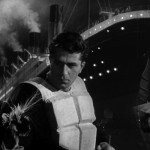 Far and away, however, the star of the film is Finney. This is legendary work by the actor—easily the best of his prestigious career. He’s virtually unrecognizable and truly carries the film from start to finish. It helps to have some dynamite dialogue to chew on, but the actor really makes the character his own. The film features some top-notch production values. The costumes are great. The score is fantastic. And the camerawork is sensational. Lumet’s films are always so meticulously put together, but this one stands out for its excellent “below-the-line” credits. The film also does a marvelous job managing different tones. The prologue is haunting—deadly serious and quite creepy. The film’s conclusion is similar. Everything in between shifts back and forth quickly—there’s a lot of tongue-in-cheek humor that has to gel with the disquieting notion that one among the group is a murderer. The above-mentioned score helps assist with the tonal shifts, but again, it’s Lumet who can flip the switch at the drop of a hat, making you laugh out loud one minute and shudder with fear or disgust the next. This is the kind of film that really lulls you in. For a while, I wasn’t sure how I felt about it, but once it gets going, it keeps things going at a brisk pace. The dialogue comes fast and loose, and none of the actors misses a beat. The conclusion is brilliant, almost as brilliant as Poirot himself, but two most brilliant things to take away from this one are Albert Finney’s incredible performance and the great direction from the always steady Sidney Lumet.